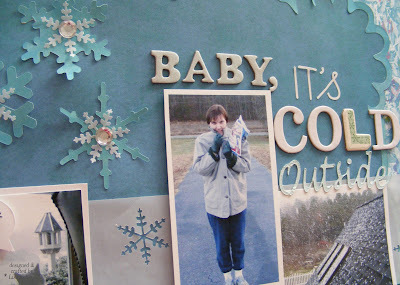 Coincidentally, while we were enjoying the gorgeous Christmas Day snowfall yesterday, I was digging into my stash for this layout about our unusually cold December. After my parents had gone home and the dishes were done (finally! ), I got in some scrapping time. Two unexpected treats for the holiday! 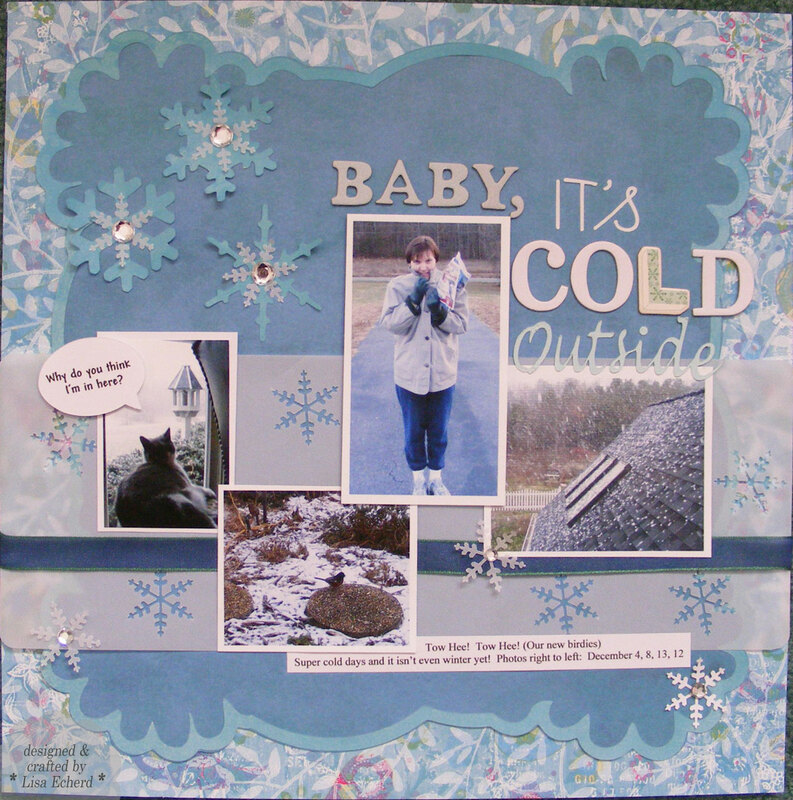 ( December Sketch Challenge at Artfuldelight.blogspot.com ). For the shaped background, I did two Cricut cuts. The second one in the lighter teal accidentally came out the same size as the first so I decreased the size and moved the cutting blade in and down just a tad - maybe a quarter of an inch - and cut again. I got a perfect frame! Just lucky on that one. 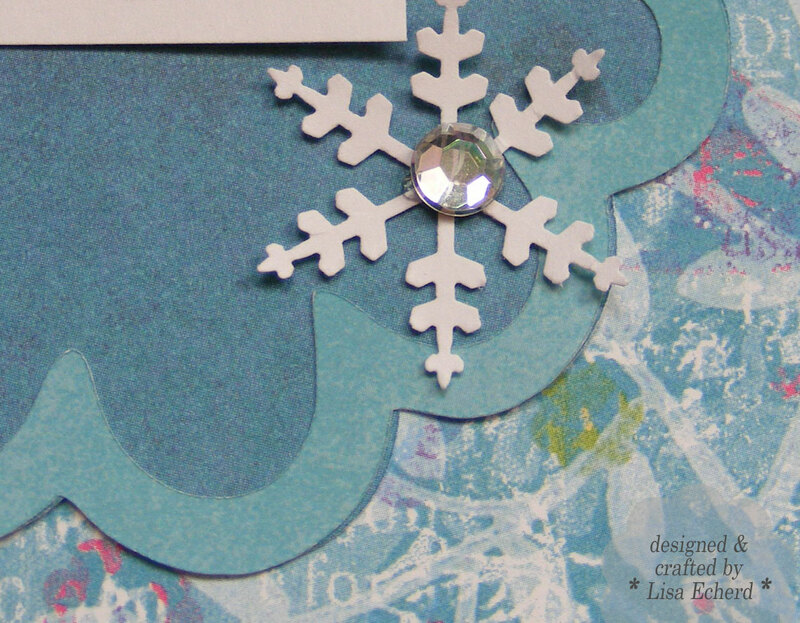 Rhinestones in the center of snowflakes add a special zing. Also, vellum seems to really go with snow/cold themes, too. Now that I have dozens of wonderful Christmas snow photos, I'll have to do another snowy layout for my very first white Christmas! Thanks for visiting today. Enjoy your holiday week. Great layout and yes I agree it's cold outside! Great take on the sketch! Thanks for joining us at Artful Delight! I'm TOTALLY feeling cold from your layout! LOVELY! :) Thanks SO much for playing with us this month in the sketch challenge at Artful Delight!